Mazda 6 Forums : Mazda 6 Forum / Mazda Atenza Forum > Mazda6 (Atenza) > Future Models > Opposed Piston GCI/Achates Engine & Mazda? The first PURE commercially-viable compression ignition inline 3 cylinder, opposed-6 piston engine is upon us (no cylinder head and no valve train! ), thanks to Achates Power. In 2016, Achates Power received a $9 million award from the U.S. Dept. of Energy’s ARPA-E program to develop its opposed-piston gasoline compression ignition (OPGCI) engine. Through Achates' recently-announced partnership with Aramco, the engine has entered the in-vehicle development phase and is now fitted to Ford F-150 demonstrators, revealed at the 2018 North American International Auto Show. The OP design aims to achieve fuel economy levels beyond regulatory requirements with lower emissions and cost, compared with current production engines. The 2.7-L, 3-cylinder engine (see February 2017 AE cover story: http://www.nxtbook.com/nxtbooks/sae/...2/index.php#/0) has undergone minor updates in recent months to make it more production-ready. The combustion chamber was further refined, through partnerships with Delphi and Argonne National Laboratory, and compression ratio was increased from 16:1 to 18.5:1 to achieve indicated thermal efficiencies (ITE) above 50%. In the F-150, the Achates engine is expected to achieve a combined 37 mpg on pump gasoline—4 mpg better than the proposed 2025 CAFE regulations—and deliver 270 hp (201 kW) and 480 lb-ft (650 N·m). Those fuel economy, power and torque numbers are superior to those produced by Ford's new 3.0-L V6 diesel that will be available in the 2018 F-150. 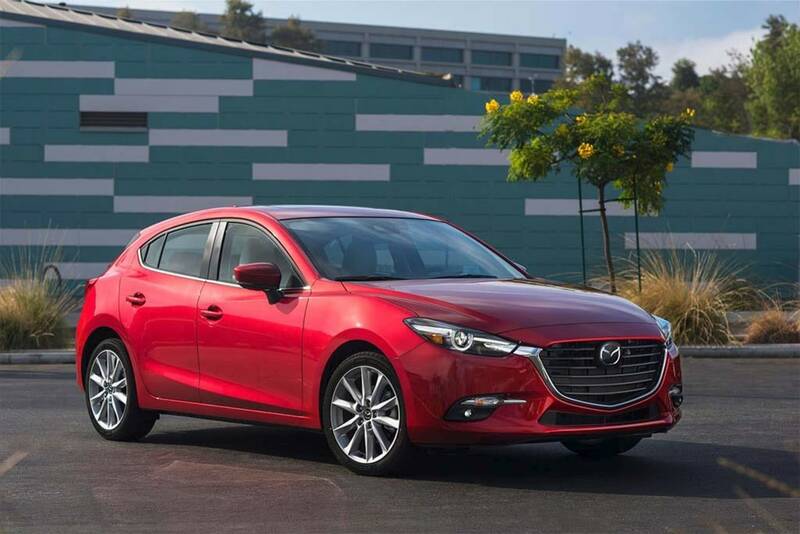 The GCI engine has true compression ignition; there is no spark-plug assistance like that employed in Mazda’s SpCCI system (see October 2017 AE cover story, http://www.nxtbook.com/nxtbooks/sae/...10/index.php#/). The Achates OPGCI injects fuel early in the compression cycle for a lean mixture, with incoming air and residual exhaust that is purposefully left in the cylinder. Then, ignition is initiated by injection of the gas just like on a diesel engine. The turbocharger and supercharger provide the pressure differential in the cylinder. With this higher combustion efficiency comes reduced engine-out emissions, reduced aftertreatment requirements and improved cold-start-emissions, the engineers claim. Johnson and his team believe that along with an average 60% reduction in overall bill-of-material, their GCI engine achieves a 10% cost savings over a comparable supercharged V-6. 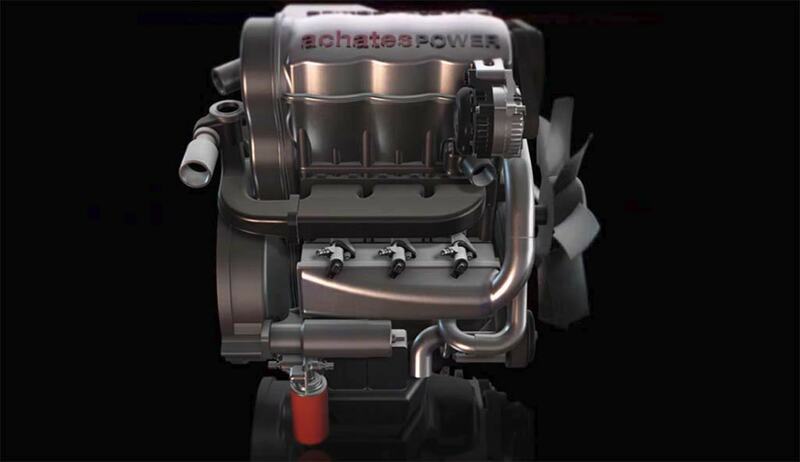 Achates Power is currently putting its OP-engine demo vehicles in customer hands. Watch Automotive Engineering for program updates and an on-road driving report later this year. Also, as of this August 2017 NBC News article, at least 7 automakers are testing Achates engine technology..
Half a dozen countries, including the U.K. and possibly also Germany, have now laid out plans to ban gas- and diesel-powered vehicles, while tough U.S. and Chinese emissions and mileage standards are expected to boost sales of plug-based vehicles substantially over the coming decade. Yet, to mangle an old quote by Mark Twain, reports of the demise of the internal combustion engine appear to be greatly exaggerated. Mazda just announced a breakthrough engine, dubbed the Skyactiv-X, that could yield hybrid-level mileage out of a gasoline engine. And a variety of other new internal combustion engine technologies could give battery power a real challenge in the coming years, according to industry experts. Mazda's breakthrough Skyactiv-X engine could give battery power a real challenge in the coming years. One example is the new 2018 Chevy Traverse SUV, he said. Despite having room for seven passengers and plenty of room for cargo, while also making 362 horsepower, the big ute can manage up to 27 miles per gallon on the highway. A few years ago, that sort of number was accomplished only by the smallest, stripped-down econocars. Turbo and superchargers allow small engines to operate like big ones when there’s a demand for power. Otherwise, they deliver the fuel economy of downsized engines. And even more dramatic breakthroughs are coming. The Mazda Skyactiv-X engine is just the latest example. Technically, it’s called a homogeneous charge compression ignition, or HCCI, engine, and it essentially blends some of the best attributes of both gasoline and diesel technologies. While it runs on gasoline, the Skyactiv-X normally uses high compression, rather than a spark to ignite the air/fuel mixture in its cylinders. There are spark plugs, but they are only used until the engine warms up, much like conventional diesels use glow plugs when the engine is cold. This approach is estimated to achieve fuel savings of as much as 30 percent when compared to a more traditional gasoline engine. That would make the Skyactiv-X potentially as efficient as a diesel and even some gas-electric hybrids. "We think it is an imperative and fundamental job for us to pursue the ideal internal combustion engine," Mazda R&D head Kiyoshi Fujiwara told reporters in Japan last week. "Electrification is necessary but,” he added, “the internal combustion engine should come first." Mazda isn’t the only automaker promising a major engine breakthrough. Nissan’s Infiniti division is getting ready to go into production with its Variable-Compression Turbo engine. A concept many manufacturers have toyed with over the decades, the 2.0-liter gas engine can adjust its compression ratio anywhere from 8:1, for performance, to 14:1, for better fuel efficiency. “This new technology will be available in new Infiniti models from 2018,” Infiniti President Roland Krueger said while introducing the Variable-Compression Engine at the Paris Motor Show last fall. Even more radical technologies could pump more life into the internal combustion engine. San Diego-based Achates Power is working up an approach known as the opposed-piston engine which “will be 50 percent more efficient than the leading gas turbocharged direct-injection engine on the market today,” according to Dave Johnson, a former Ford engineer who now serves as Achates CEO. Think of two boxers alternating punches and you have the basic idea behind the opposed-piston engine which, at first glance, looks a lot like today’s gas engine. That’s entirely intentional, said Johnson, because Achates wants to be able to build its new powertrain in current engine plants and use it in today’s cars. At least seven major automakers are testing the Achates technology, the company hints, and could bring it to market in a few years. Several manufacturers have privately confirmed interest, though none would offer their own timetable. What’s clear is that, “older technologies tend to achieve their most dramatic breakthroughs when they’re being threatened by new technologies,” said David Cole, director-emeritus of the Center for Automotive Research, in Ann Arbor, Michigan. Improvements in gas and diesel engines could make it difficult to justify going electric, or at least all-electric, Cole and other analysts caution, at least without some breakthroughs on the battery front that significantly improve range and performance while sharply lowering costs and charging times. In the end, consumers are likely to win, either way. ..and from a recent Autoline Podcast interview of the Achates Power CEO, consumer availability for a 4 stroke GCI will commence around early 2020's. With the advent of the hybrid compression ignition SPCCI SkyActiv-X and Mazda's engineering prowess in ICE tech..I think it's but natural for Mazda, to gravitate to this next step. These are exciting times, for the ICE. Mazda is indeed right..ICE isn't dead yet.